Montreal’s nightlife scene is still adjusting to the increased popularity of clubbing among adults who are over fifty. “We’ve had to change quite a few things about how we organize our parties to accommodate older patrons,” says promoter Kyle Berlin. “Club owners and event organizers across the city are truly going above and beyond in order to capitalize on this trend. The fact that raving isn’t for kids anymore is great. The more people party, the better our parties will become." Promoters like Kyle have switched their parties up and have begun to incorporate generation specific attractions into their events to appeal to people of all ages. “These days, it isn’t uncommon to find people playing bingo, backgammon, or bridge at a rave,” says Kyle. “And that’s just for starters. Now that we’ve created environments that are welcoming to older people, we’ve expanded our ability to cash and profit. We don’t just sell water bottles and energy drinks, we now also sell metamucil, weather’s original candies, and blu-ray’s of Matlock." 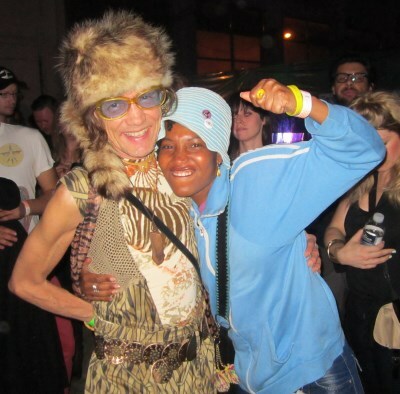 Younger ravers say they’re happy to be partying with their elders. “I think the whole selling metamucil thing at parties is kind of condescending, but I’m happy that people in their fifties and beyond feel welcomed at our raves,” says Bridgitte Mason, a 24 year old raver. “When I’m older, when my hair is grey and the wrinkles have set in, I hope that I’ll still be welcomed at raves. This isn’t something I ever want to grow out of, and I think it’s important for us to embrace people of all ages, genders, races, and orientations. Raving should be as inclusive as possible. This is about celebrating life, about really enjoying yourself, and there’s no reason why older people should be shut out of our events. I hope this trend keeps up." Kyle agrees. “Raving isn’t just for teenagers anymore. Everyone’s welcome at our parties. No exceptions."